Please call (573) 248-1819 to reserve your seats today! We Couldn't Say It Better Ourselves! We reserve the right to refuse service or cancel a tour for any reason. Full refunds will be issued for any tour that we cancel. No children age 4 and under are allowed. Ages 5-10 are charged half of the adult ticket price. All guests 11 years old and older will be charged the adult ticket price. Because our tours frequently sell out, once seats are reserved there is a 24 hour cancellation policy. within 24 hours of the tour including those reservations made the day-of the tour. 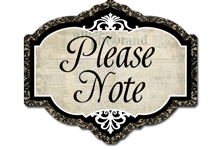 Still photography is allowed, but video/audio recording of our tour is not permitted. Generally speaking, we do not cancel a tour because of light rain or the threat of inclement weather. We will cancel a tour if there is the possibility of lightning or excessive precipitation. Thank you for your cooperation, we look forward to entertaining you! 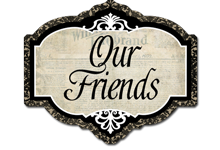 We Hope You "Like" Us! PEOPLE ARE CRAZY FOR THE BOOK! Now available! Published by The History Press, softcover, 128 pgs with photos, $19.99 (plus $2.00 postage, Missouri residents must also add 8.6% tax). Please call (573) 248-1819 to order your signed copy today! Click here to see a GREAT story on Haunted Hannibal! 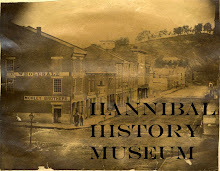 The Emmy winning PBS series devotes an entire episode to "Haunted Hannibal Ghost Tours"
WGEM-TV: "Hannibal's Hauntings On Nightly Display"
CLICK HERE: Hannibal's hauntings on nightly display: Hannibal's rich history holds stories of spirits who love the town so much they don't seem to want to leave. Have you tried Ghost Radar? Last fall I was first introduced to "Ghost Radar", a new, free app that can be downloaded onto your smart phone. I was a bit skeptical of it at first, thinking it was just a hokey "game" of some sort. We had other folks on the tour with Ghost Radar in January and February, and the more we worked with it, the more intrigued we became. It is used like an EMF Reader (Electro-Magnetic Field), it detects energy fields (shown as orbs on the radar screen). It also works like an EVP Recorder, it detects words that are "heard" by the phone and displays the word on the screen. 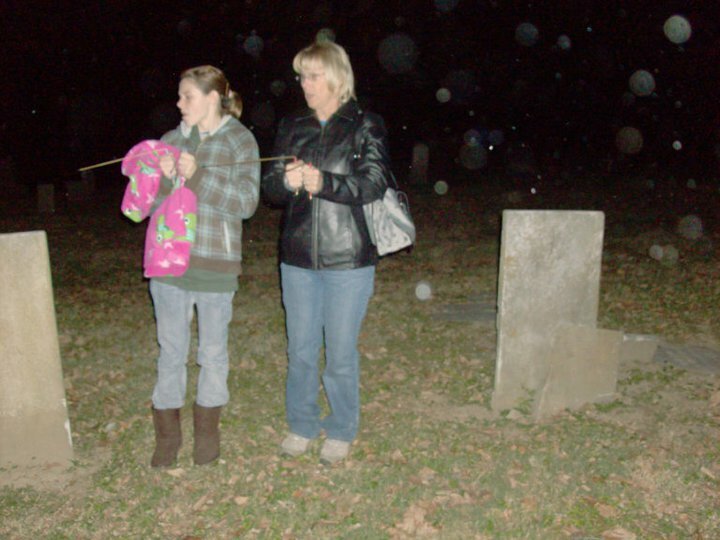 We now encourage guests on our tours to download the app and try it for themselves -- used in conjunction with our dowsing rods, it is even more fun to try to pinpoint the source of paranormal energy detected in the cemetery. Try it for yourself, and feel free to email me with your thoughts on this fun new Paranormal Investigating Tool! 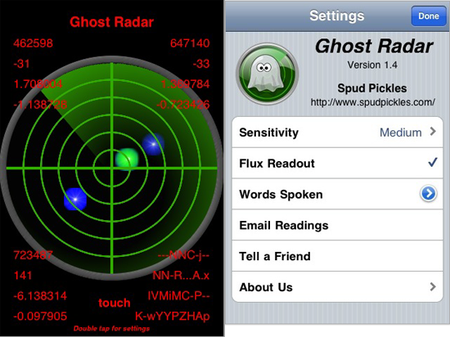 For more information on "How Ghost Radar Works", visit the Spudpickles.com website, one of the app's creators. 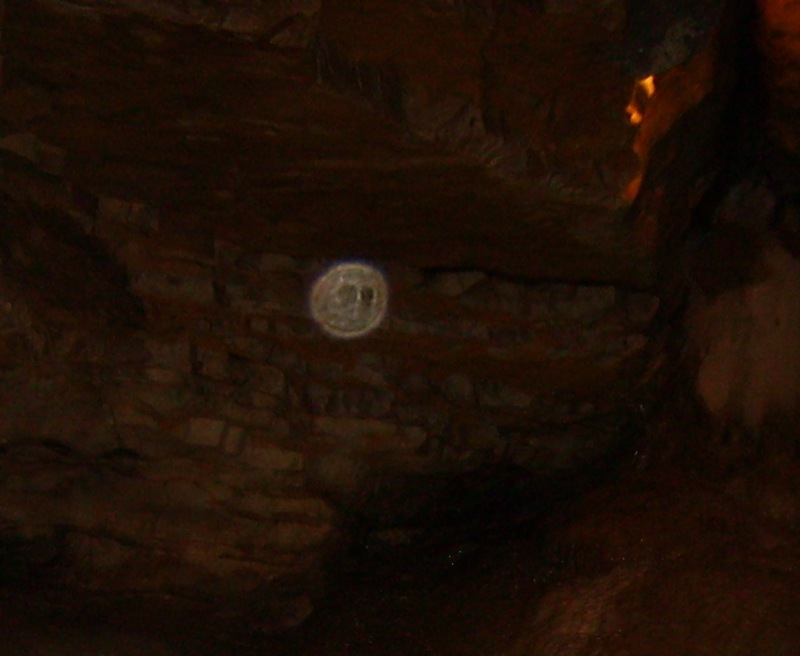 Here's a close-up of the orb -- doesn't it look like a skull inside the orb??? "Me and my friend were on your tour on the 15th of October, the 9:00 one...My friend had never been to Hannibal before and wanted to go to the Mark Twain Cave. As we bought out tickets we joked about seeing a ghost. On the tour the guy pointed out which room the girl had been in [McDowell's Chamber, where Dr. McDowell placed the copper cylinder containing his daughter's corpse to see if her body could be preserved]. As the tour moved on something caught my eye and I had to go look. What I saw was a young girl with dark hair...she didn’t look at me she was looking down. Then I saw what looked like someone offering her a hand to take...Just thought I would share that with you. Feel free to share that story if you want. V. Powell"
We're not surprised...! And this story is very consistent with similar stories we've heard about a sighting of a little girl near McDowell's Chamber, stories we've heard from multiple, unrelated sources. Thanks so much for sharing your photos and stories, they're so amazing and so much fun to share with all our friends! "We went on your 7pm tour last Friday (10/7)…we were a large group of 11 (to include Mr. "Texas"). We ALL enjoyed your tour, especially the time we spent at the cemetery. I wanted to send you this pic of Mr. "Texas" (aka: Bud), my brother-in-law. Bud's wife snapped this pic with her phone camera. I thought it was very interesting!!!! Thank you again!!" "This Bud. Thought I would give you some background. "After stepping off of the trolley the wands keep guiding me to the left and when I got close to the grave headstone the wands crossed. We read the name and did not recognize it as anyone we knew that had any of the names listed. As went we looked further down the stone the date October 30th appeared which was the day of my fathers death. After asking several questions and receiving correct response I had chills. Now in seeing this picture I know dad was there." Bud, thanks so much for your email. Some guests that have taken our tour tell me that they believe the possibility exists that our loved ones who have passed away may be with us quite often...so, during the Haunted Hannibal tour, when we are thinking of the possibility of communicating with spirits, when our minds are open to the idea, that's their chance to signal to us that they are, in fact, with us. Isn't that a wonderful, hopeful, comforting idea? So glad you took our tour, you were a good sport and we hope to see you again soon. Next time you have the chance, say hello to your father for us. :)Anyone have any ideas on what could cause this? Even Ken said, "Yeah, that one is pretty interesting..."
Thanks to Gay and Bud and the gang for taking the tour, and to Gay for sending us the photo. Hope to see you guys again soon! 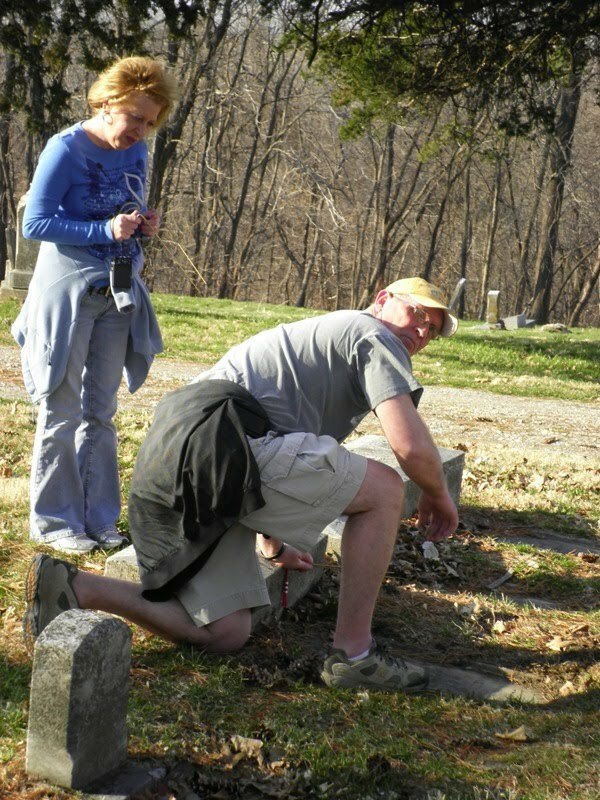 Sometimes I get so busy out at Old Baptist Cemetery helping guests on our tour connect with the deceased that I don't have a chance to explore the cemetery myself. Well, apparently, if a spirit wants to reach out to you, they'll get your attention one way or another! About a month ago I was on tour with a school group from Illinois. 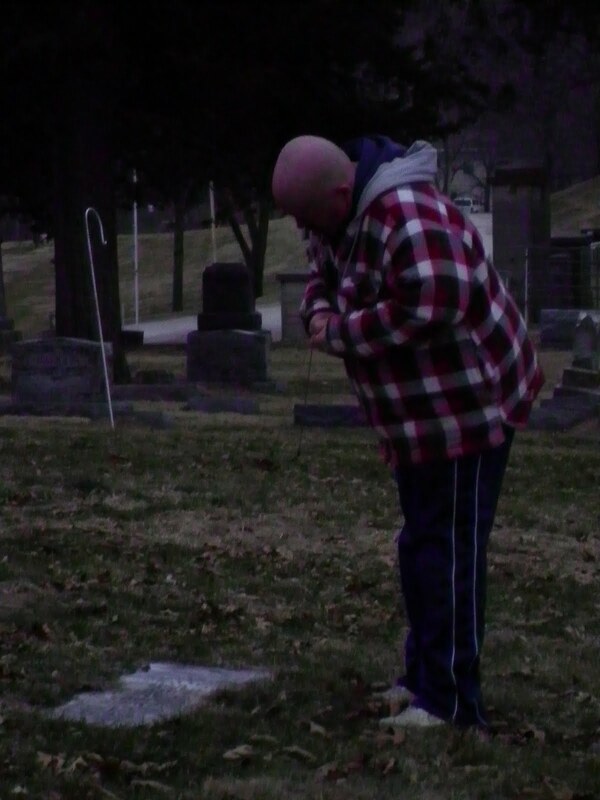 One of the boys, about ten years old, called out to me and asked me to come look at a headstone. 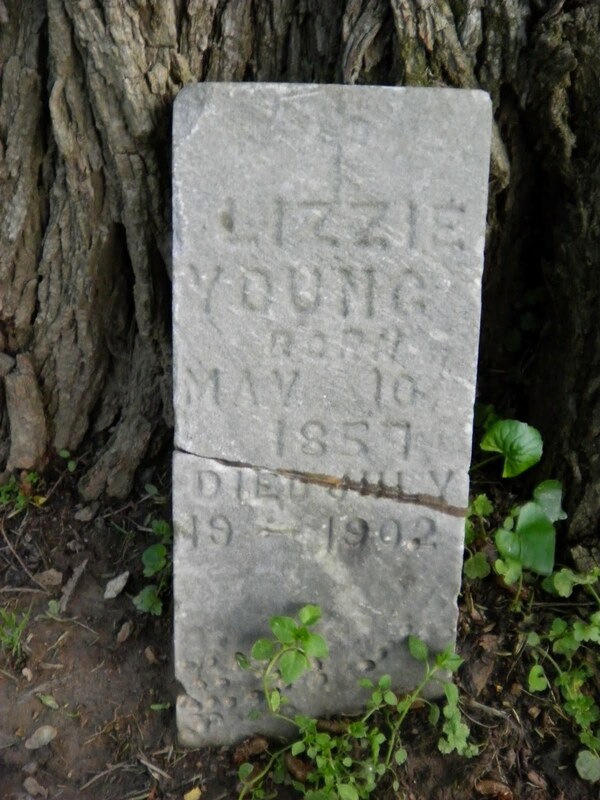 He was standing near a large Honey Locust tree and there was a small headstone propped up against the tree's base. I'd never noticed it before. 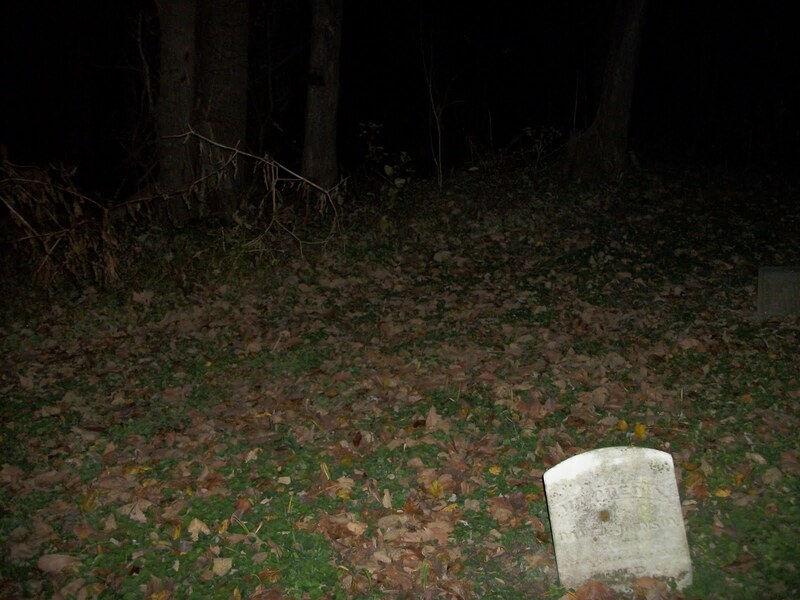 Once I walked over to where the boy was and saw the headstone, I nearly jumped out of my skin! Well, before I married Ken my name was Lisa Young. My birthday is May 10th. The day I was with the school group was just a few days before my 46th birthday. What do you think about this one? Please leave your comments...! 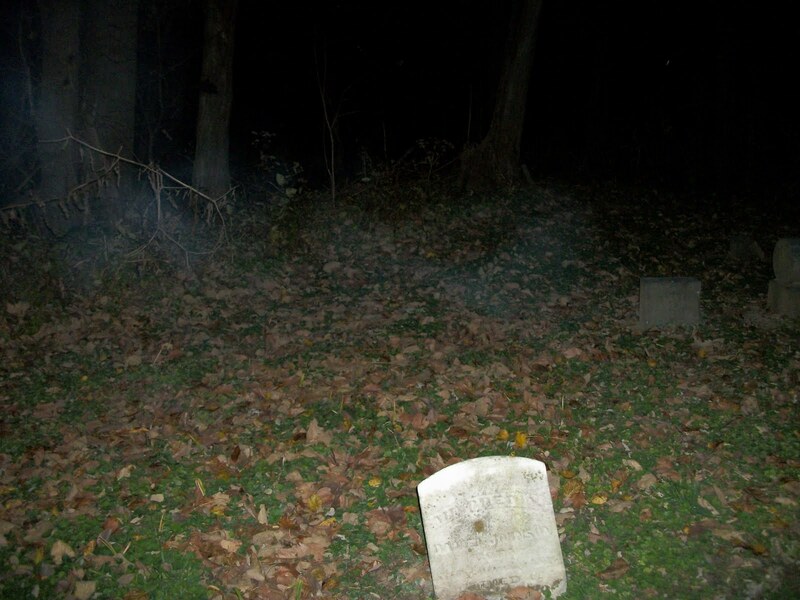 "I decided I would oblige my ghost and return to the spot it had called me to earlier. Once back my dowsing rods again formed an “X” letting me know I had reached my destination. I didn’t try to communicate with the ghost this time, I just stood quietly. The air around me felt heavy. The feelings of fear and anxiety were gone. In the short time period, I felt a strange closeness to the spirit. So many questions were on my mind. Who was this spirit? Why didn’t it have a grave marker? And out of all things, why did this spirit chose to reach out to me?" Thanks so much Jordan, we appreciate your support! We had a really fun tour last Sunday night with the McVays and the Hart Family! It was pretty dark by the time we arrived at Old Baptist Cemetery, and I think the guests on our tour were a little skeptical about the dowsing rods being able to sense "paranormal activity"...that is, until Mr. McVay started to have a strong response on his dowsing rods from a headstone close to the tree on the west side of the cemetery. 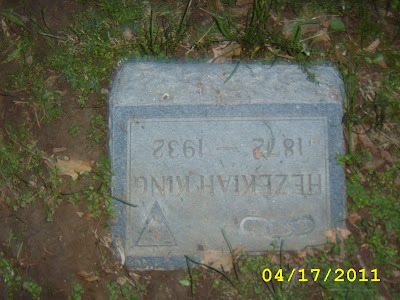 According to the headstone, the deceased is Hezekiah King who died in 1932. 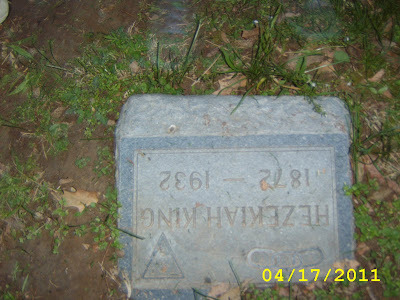 His headstone displays the three chain links of the Oddfellows (a fraternal group that was similar to the Freemasons) and a VERY unusual triangle with the skull and bones logo. Mr. McVay called us all over, and the Hart family's dowsing rods were also sensing activities. Mr. McVay had a camera with him and I asked him to take a photo because sometimes when the dowsing rods sense energy you can capture it on film. 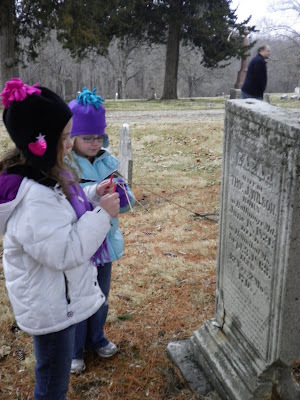 What I find interesting about this is that we've had three different tours within the last two weeks where we could SWEAR we heard footsteps in the cemetery! We tried to discredit them by thinking they were a possum or something else rustling through the leaves, but frankly, I could hear the steps distinctly and they sounded like they were slow and far-apart, not the scurrying footsteps of an animal. Did we capture evidence to prove there is something walking through Old Baptist and "greeting" us during our tours???? "Hi,I was going to call you about this, but we were so busy this week there just wasn't anytime. So last Saturday after we went to dinner we decided to stop by that old church that was on the tour to see if we could hear the choir singing. My daughter and I got out of the car and I went up to the door and put my ear to it. I heard a loud thump and the door kinda shook, but I don't think it was anything paranormal - maybe just the bowlers [there's a bowling alley attached to the south side of the church]. "Then my sister came out to take a picture of us in front of the church. 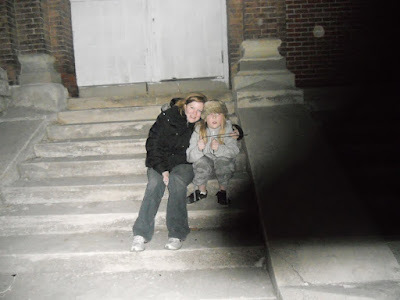 Caitlin and I sat on the steps and she had her dowsing rods in her hands. My sister took 3 pictures. The first two with her camera turned out fine and the rods are pointing forward. When she took the last picture she freaked out because she said something was on the picture. Then from nowhere a cat starts yowling really creepy. I figured she was just trying to scare me, and I wanted a picture of me with my ear to the door. But there were definitely thumps and the door was moving (still- probably the wind). "When I looked at the picture on my camera there is a huge black shadow over the right side of the picture that you can actually see through and if you look at Caitlin the dowsing rods are pointing directly at the shadow!!!! Totally creepy!! ...Until someone can explain the creepy shadow I not quite as skeptical anymore!!!" One thing I find interesting about this photo is that the shadow IS see-through...so if it were the camera strap or a finger covering part of the camera lens, you wouldn't be able to see through the shadow...and above the shadow, next to Caitlin, is an orb! Happy Hauntings, Jennifer, and thanks for bringing your family on the tour and sharing the info with us! 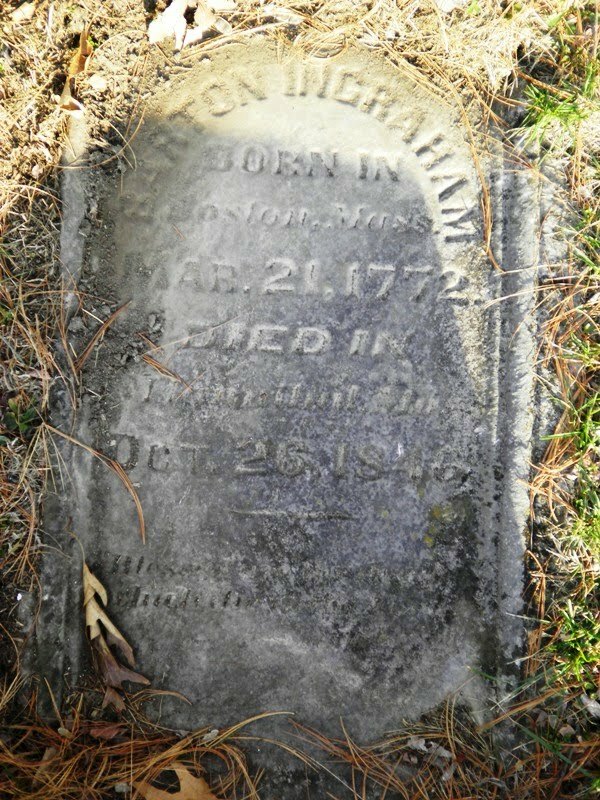 As you scroll down through the posts on this website you'll notice that many of them are about Old Baptist Cemetery. This might be because we spend more time there than we do any other part of the tour...but I believe it is also because there is so much energy out at the old graveyard. 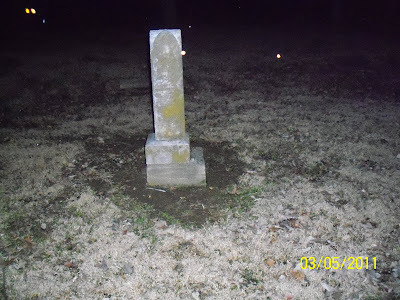 We have probably had 600 tours at Old Baptist in the past two years, and hundreds of people have detected paranormal activity while roaming around the old graves. Last night was no exception...we had two tours, one at 5pm and one at 7pm, and it was very cold, around 30 degrees. 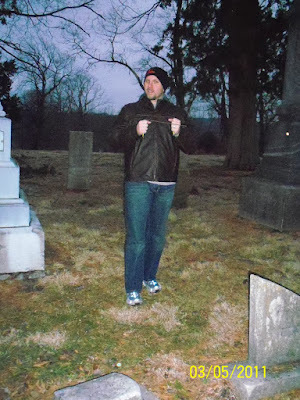 I was out at Old Baptist with the second tour sometime around 8:15pm, and although it was pitch black and chilly, we could still detect all kinds of energy as we roamed around the graves. One of the guests on our tour, Frank, was close by me with his dowsing rods and suddenly I realized it had become considerably colder where I was standing. I called Frank over and asked him if he felt it, too...and then we realized we could see each other's breath as we talked. There was no question that we were standing near a cold spot...and as confirmation, Frank's dowsing rods began to pull towards the cold! We asked if the presence were male (crossed rods) or female (open rods) and the rods crossed. Then we asked if he was buried at Old Baptist, and the rods crossed again for a "yes". I then asked the spirit if he could lead Frank to where he was buried...and suddenly the cold spot disappeared! Also, as soon as the cold spot moved away, we could no longer see our breath as we spoke! We later felt the cold spot a few feet away, but it quickly disappeared again when we tried to ask another question. I wonder now if the energy was physically trying to pull us toward where he was buried; when I asked it to show us, I was thinking the spirit would move the dowsing rods but maybe he was actually moving toward his grave and expecting us to follow...? 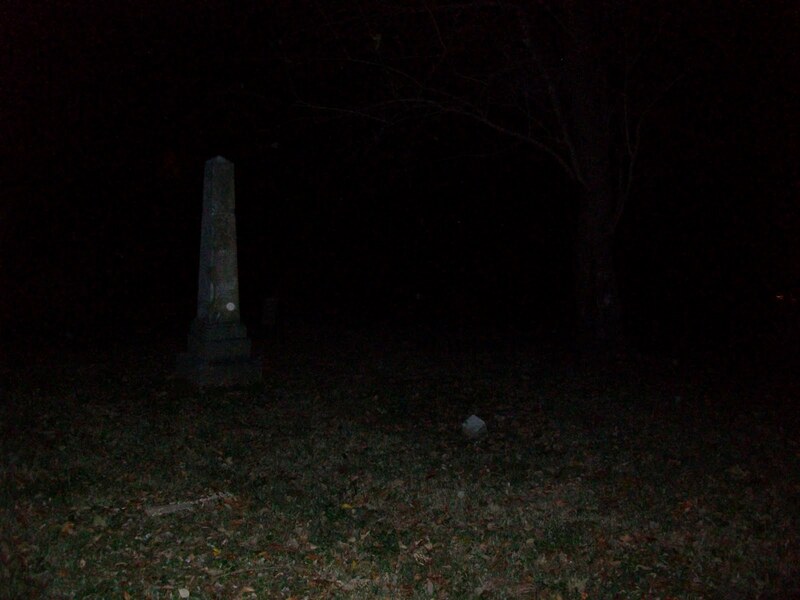 I still find it a bit hard to believe that we are out at this old cemetery in the dark and surrounded by spirits...but folks, I've been out there too many times, and I've experienced too many cold spots and other paranormal occurrences -- I am convinced that something out there is present. I'll never forget an experience I had on a tour early last year. There was a young lady named Samantha visiting us from Arizona. She was in her teens, very quiet and shy, very introverted. She never spoke the entire time we were on our tour, never even talked while we were walking around Old Baptist. After the tour was over, she and her father came back into our shop on Main Street and I noticed her father was nudging her over to me. 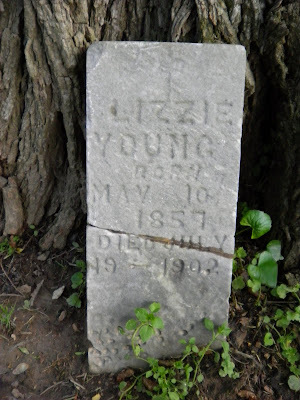 She quietly walked up to me and whispered, "My father wanted me to tell you that you're right about Old Baptist Cemetery." "What do you mean?" I asked. "Do you have information about Old Baptist?" 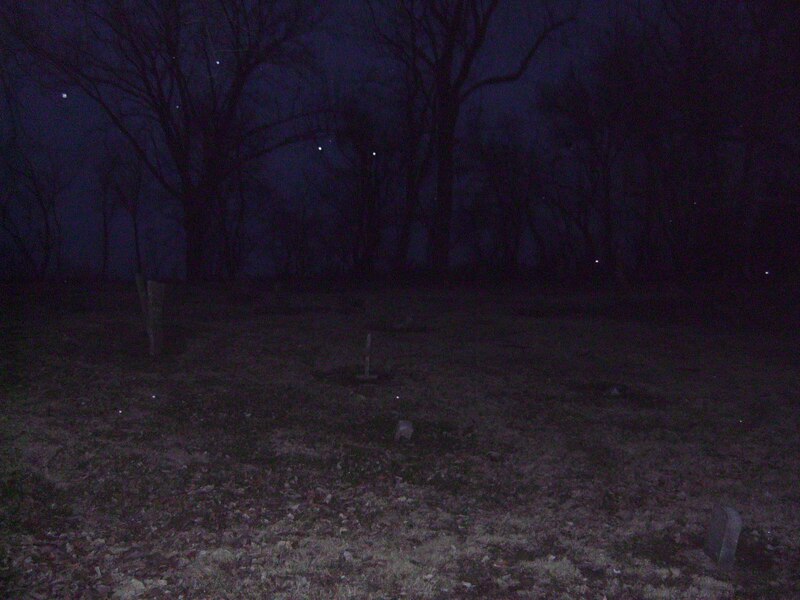 She answered, "You are right about there being ghosts at the cemetery." She went on to explain that she has been able to see ghosts since she was a little girl. Her father nodded his head in agreement. She seemed to be a bit burdened by this ability and was uncomfortable talking about it. "So you saw ghosts while we were at Old Baptist?" I asked. Samantha said, "Many." I then asked, "Okay, now when you say 'many', are you talking five, or are you talking fifty...?" Samantha paused for a moment, looking up at the ceiling to think, and then said, "I'd say at any given time there are fifteen to twenty." I was giving another tour in the afternoon late last summer and felt a cold spot next to me. I started to explain to the group about cold spots, and suddenly a man spoke up and said, "I'm not surprised you feel the cold, there's a ghost standing next to you." He then went on to describe a young lady with a short hairdo...I nearly jumped out of my skin! Until then, I'll enjoy just knowing the cold spots at Old Baptist like to follow me around! Happy 239th Birthday, Mr. Ingraham! ...They found the headstone lying on its back on the ground, having fallen from its original base. The stone is for Barton Ingraham, and maybe the reason we were pulled toward him was that he wants us to recognize his birthday! The headstone is inscribed, "Barton Ingraham, Born In Boston, Mass., Mar. 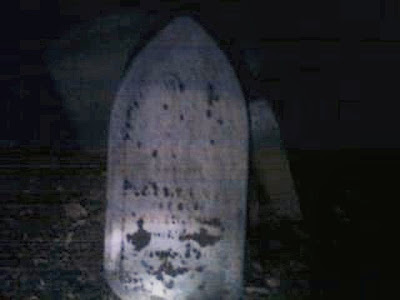 21, 1772, Died in Hannibal, MO, Oct. 26, 1846". So here's Happy Birthday to you, Mr. Ingraham, 239 years young today! 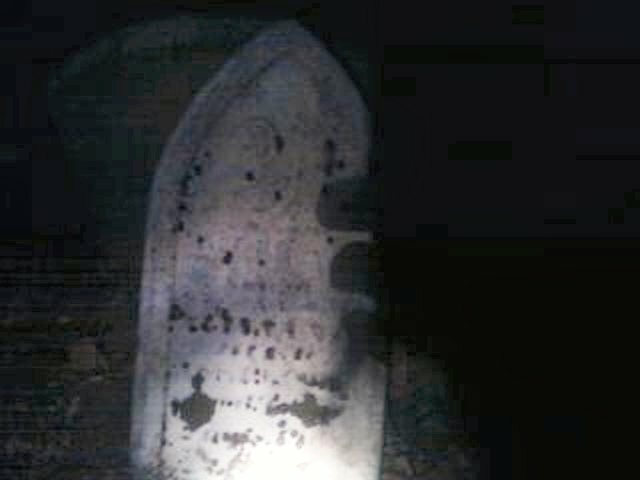 One interesting thing we found was that there seemed to be teeny tiny orbs of energy out at Old Baptist this evening. 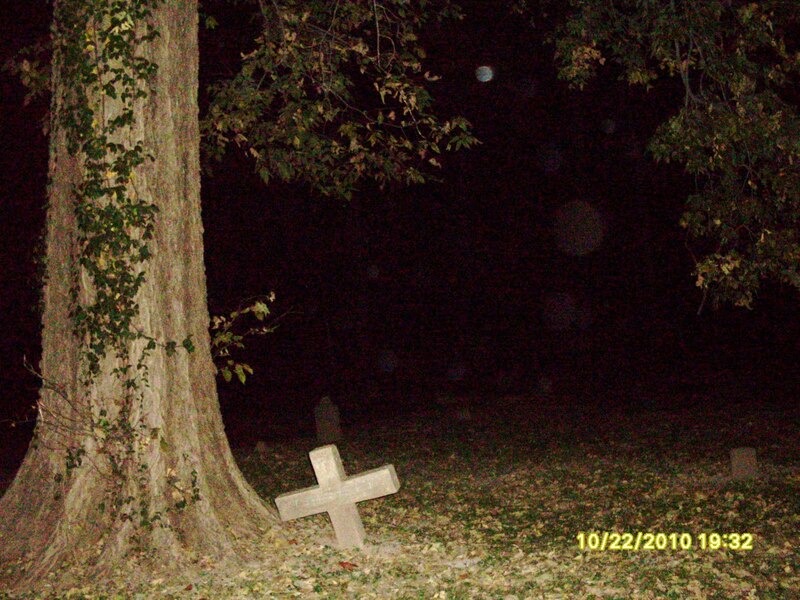 These three photos were taken with three different cameras in three different parts of the cemetery -- see how they all captured similar tiny orbs of light? One of our guests was drawn to a particular headstone at Mt. Olivet Cemetery...his dowsing rods pointed him in the right direction...when he went to the headstone, the name of the deceased was "Matthew". You'll never guess what my guest's name just happens to be...! Here's another interesting set of photos taken tonight at Mt. 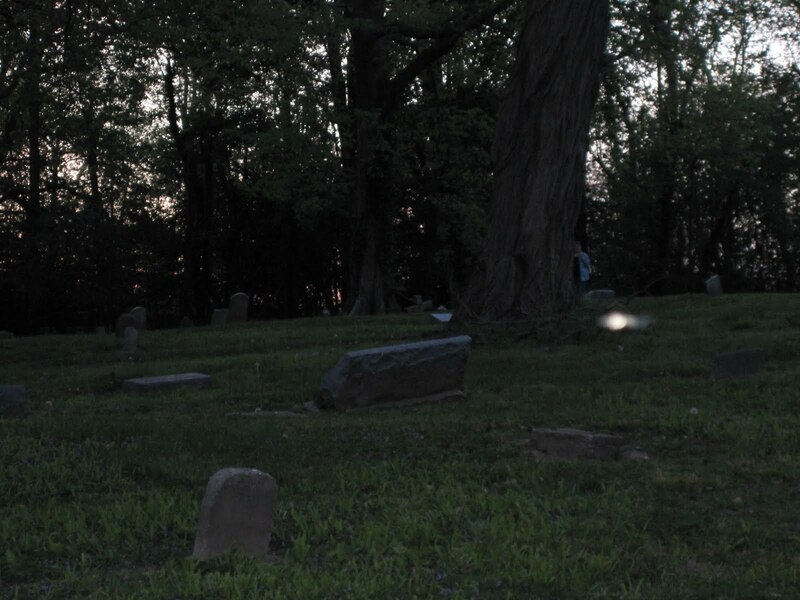 Olivet featuring Mr. "D", the father of our two young ghost hunters pictured above -- notice the orb to his left in the first photo, and how the energy changes form into a different type of orb in the second photo! Thanks to all our guests who came out on a chilly, windy night to take the tour this evening, we enjoyed visiting with you. Hope to see you again soon, there will be lots more stories to tell you! We had a great tour last night with folks from Kansas and Nebraska...it was a warm, breezy night at the Clemens family gravesite, then we had a wonderful dinner at LaBinnah Bistro where Chris and Arif told us they've been hearing voices, and furniture moving around upstairs...could it be Amos Stillwell, who was murdered after attending a card party at the site of LaBinnah in 1888??? Remember, tours are daily at 5pm, and at this time of the year with the trees bare the cemeteries are even spookier, and you can see all the gravesites very clearly...great for photo-taking! Come explore with us! 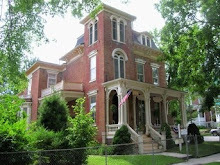 Oh, by the way...we have two more houses, one in the Central Park historic district and one in the Maple Avenue historic district, that we now have confirmed, first-hand accounts of paranormal activity! More on that later...! Hello friends! We just got back from a Saturday night tour at Old Baptist Cemetery and I wanted to share an amazing photo with you! 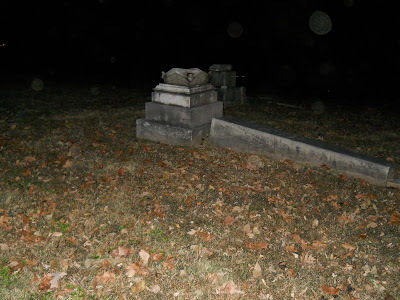 The interesting thing to me, now that we are in mid-November, is that Shannon did NOT catch any multiple orb photos out at Old Baptist, even though she took thirty or forty photographs -- so the phenomenon we reported on earlier during October seems to have subsided! Also, the dowsing rods were barely moving at all out at the cemetery tonight...not much energy present. Yet, we still have evidence of paranormal energy there with the photo of the mist...? But it does seem that now that Halloween has passed that the energy level at the cemetery has decreased. 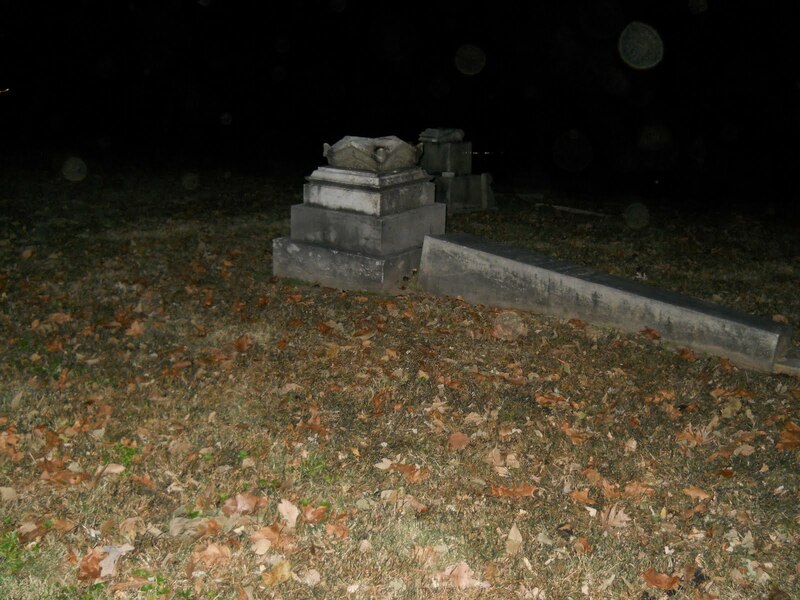 I think this also shows that those multiple orb photos we reported earlier on this blog were the real deal -- we were really capturing heightened paranormal activity at the cemetery in October! It is sooooo cool that our guests have such a good time on our tours that many come back to take the tour a second time -- thank you all so much for your support, we really do appreciate it! 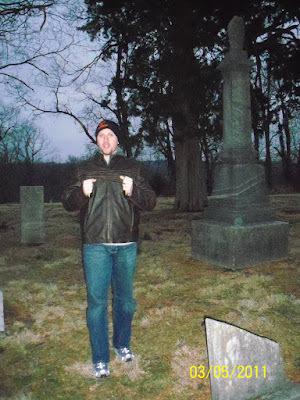 Stay warm but have a "chilling" good time with your ghost hunts! 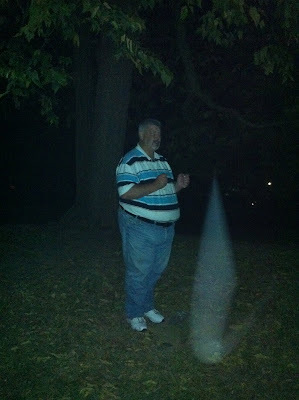 More photos with multiple orbs taken at Old Baptist Cemetery on last night's tour!!! 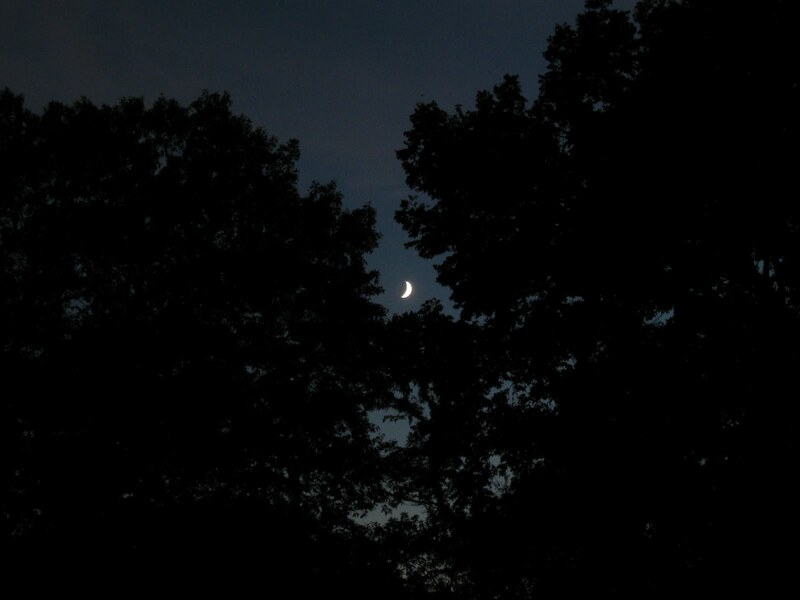 For those who would try to debunk these photos: There was no rain or humidity that night, but it was cold (upper 40s). Does anyone have any idea how there could be so many orbs in so many photos??? 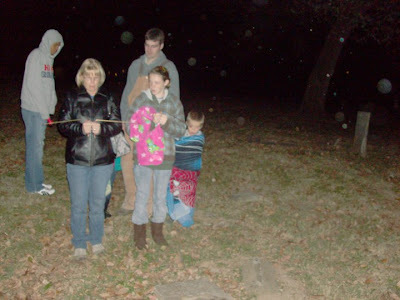 We received yet another multiple "orb" picture from Susan O'Kane who was on our tour last Friday night...as I say on the tour, we always seem to have a lot of activity near the tree with the cross next to it...and I still can't figure out how we are getting so many photos with multiple orbs!!! I also received these two photos from Alan and Jen Harvey via email. 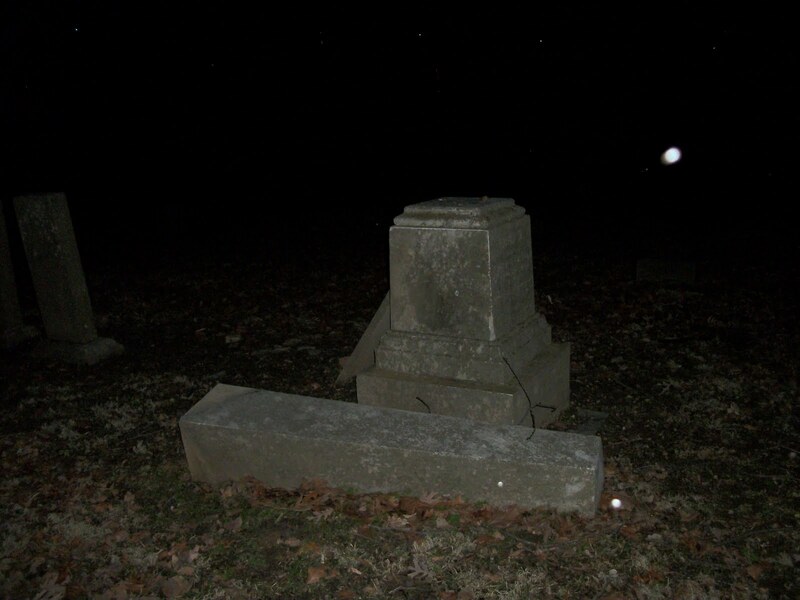 Alan was pulled toward this headstone by the dowsing rods...and as you can see, when he took a photo with the camera on his cell phone, he caught what looks like three giant fingers creeping around the side of the headstone! The second photo was taken only seconds afterward, and no black shadows appear...and we are sure that no one was standing near the stone to cast the shadows, nor were his fingers near the phone's camera lens...! 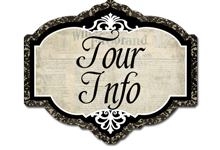 Keep an eye on this blog, as we are sure to have more spooky, creepy, paranormal photos from this weekend's tours -- Its Finally Halloween! Yipppeeeee! Wishing you all a very, very Happy (and SAFE) Halloween! Our Guests are CRAZY about the Book and Tours! 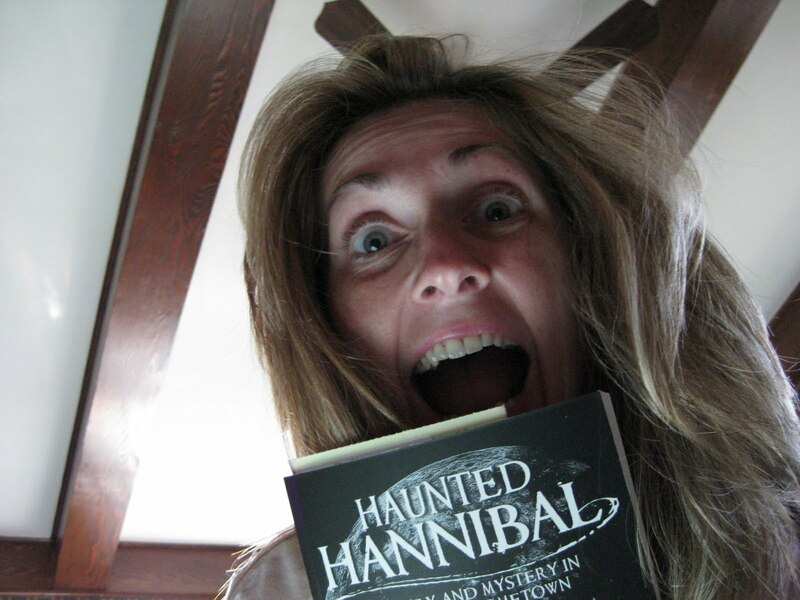 A big thanks to Deb Walkup of Hannibal for her support of "Haunted Hannibal: History and Mystery in America's Hometown"!!! If you haven't ordered your copy of the book yet, please call (314) 494-2918 and order yours today. And remember, books signed by the authors make great Holiday gifts! 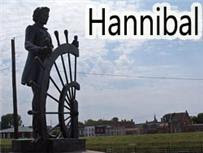 Haunted Hannibal on PBS show "Illinois Stories"
Tune in to see "Haunted Hannibal" featured on the show "Illinois Stories"! The show will air on the PBS stations WQEC/Qunicy, WMEC/Macomb, and WSEC/Springfield. Show times are Thursday, Oct. 28 at 7:30pm CST, Friday, Oct. 29 at 6:30pm CST, and Wednesday, Nov. 3rd at 6:30pm CST. 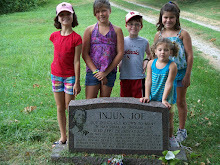 Our Tours Are Kid-Friendly -- just ask the Lyons and Scales Cousins!!! 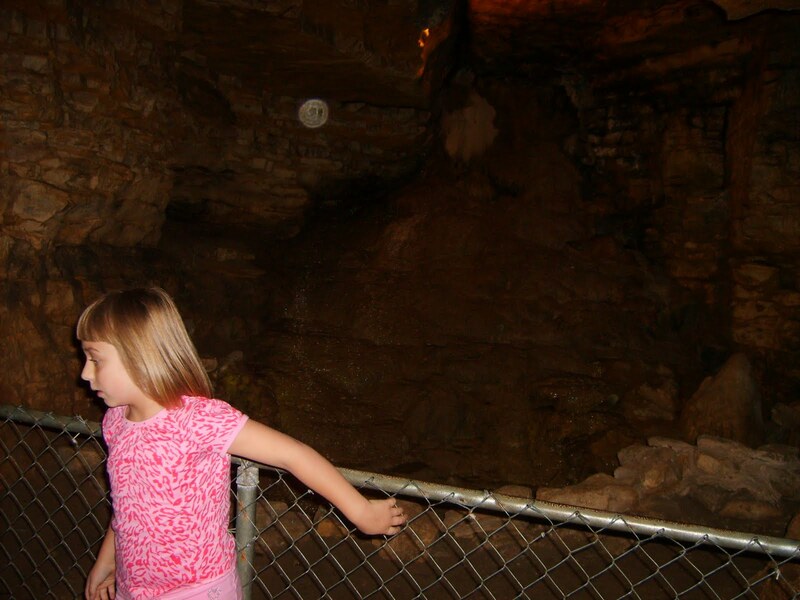 If your kids can watch "Ghost Hunters" on TV and still go to sleep, they can take our tour! 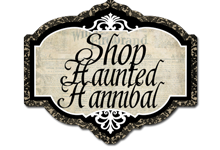 CLICK TO SHOP HAUNTED HANNIBAL! 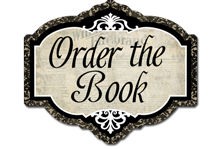 Dowsing Rods, T-Shirts, Books and More! We at Haunted Hannibal do not judge our guests or the occurrences they report on our tours. 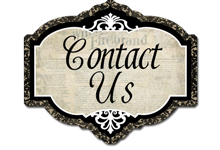 The information we share is simply evidence for your consideration -- we do not claim any scientific proof or absolute confirmation. Keep in mind that "PARANORMAL" simply means "Not Normal" or "Unexplainable". We have learned to listen to our guests when they sense activity on our tours, and in nearly every instance, our guests truly believe they are seeing or hearing or sensing something out of the ordinary. For those who are fascinated with the possibility that we are not alone, that the space-time continuum may be more than what it seems, that it might be possible to have communication or interaction with other realms -- this is for you! WANT TO SLEEP WITH A GHOST? SO MUCH MORE TO SEE! Click on "Older Posts"